Driving through LA yesterday, my car’s thermometer registered 85 degrees Fahrenheit. 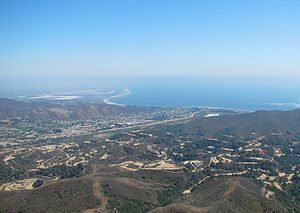 When I reached my destination in Ventura on the coast the temperature was 78 degrees F. In summer in California, the coast is usually cooler and inland is warmer. In winter, it is usually reversed with the coast warmer than the interior. 85 degrees is unusually warm for January. One week ago below freezing temperatures were threatening citrus crops as far south as San Diego. An erratic jet stream is blamed for the wild swings in temperature.